Live to have fun. 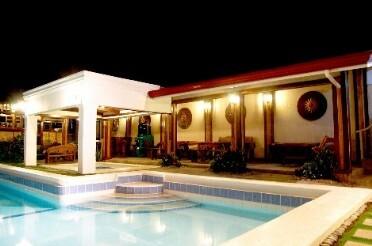 Escape from the hustle and noise, and unwind in one of the best-kept secrets in Pansol, Laguna. Amid the greenery and lush trees of Mt. Makiling is a private pool like no other. An ultimate hideaway awaits guests in the comfort of a stylish Spanish-inspired house with the warmth of Asian influences for eclectic touch, two swimming pools filled with the natural spring waters of Pansol famous for its therapeutic value, and other amenities to make your vacation truly fun and memorable. For inquiries and reservations you call (049)545-3314, (0917)830-2010 or (0918)942-0201 or through this website. At 172 Mutya Hot Spring Resort leisure is simply beautiful.